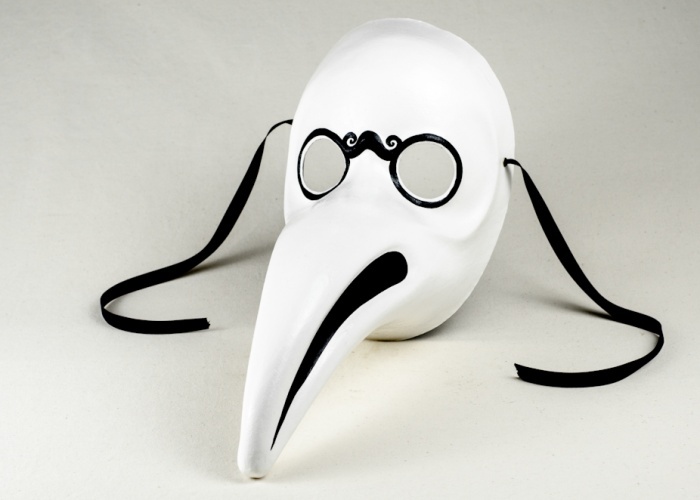 This is a faithful reproduction of the unsettling plague doctor mask worn as part of physicians' apparel in the seventeenth century. Historically, it has also been worn in Venice as a carnival costume on Fat Tuesday during the Italian Mardi Gras. Our mask is made from real cartapesta (papier mache), hand-painted with black and white acrylic colors, given a wax finish, and completed with laces and picture hooks for hanging.